Set at the base of the Southern Alps with a majestic mountain on its doorstep, Methven is pure Kiwi… with a twist. Methven is where rural tradition meets adventure . It is here that you can explore some of New Zealand’s best skiable terrain - Methven locals welcome skiers and snowboarders from around the world and love sharing their region and its natural gifts. With Mt Hutt on the doorstep and a host of club fields nearby, the skiing/riding possibilities are endless. The views from the top of Mt Hutt are breathtaking. On a clear day you can see all the way across the patch-worked Canterbury Plainsout to the Pacific Ocean in one direction, and into the heart of the Southern Alps in the other. At 2086 metres, Mt Hutt has one of the largest vertical drops in the South Island and the greatest variety of terrain ranging from long, super-wide groomed runs to double black diamond chutes. 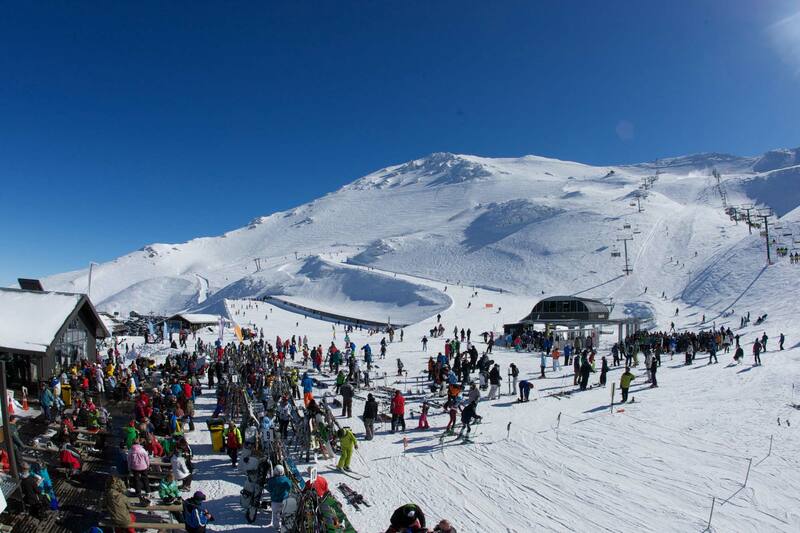 Regarded as New Zealand’s true high country ski area, Mt Hutt has a laid-back attitude and hospitality to match. The mountain offers a well developed trail network suited to all snow lovers; from total beginners through to the world’s top racers and riders. The relaxed, down to earth Kiwi atmosphere is evident everywhere, particularly in the parking lot where Cantabrians regularly indulge in a good old car-boot picnic! Facilities and service are world-class with modern chairlifts, a multi-tiered terrain park and beginner/novice mini park and a warm, comfortable base building. Children from ages two to 15 are supervised in a variety of programmes from the Skiwiland Early Learning Centre through to advanced ski and snowboard training programmes. The natural bowl of the main ski area makes it easy to keep track of family members from the sunny deck. And at just over an hour’s drive from Christchurch International Airport, Mt Hutt is easily accessible from anywhere in Australia. Mt Hutt is the local mountain to ski. It is approx. a 40 minute drive from Methven. There’s a great range of bars and restaurants to choose from and Methven’s famous high country hospitality and relaxed lifestyle are an added bonus. Once you’ve discovered Methven, you’ll never want to leave. There is plenty to do such as jet boating, heliskiing, hot air ballooning are just to name a few. There is only 1 road up and down the mountain at Mt Hutt, you can either get a daily shuttle or self drive. Make sure you have suitable chains if you self drive.